The Citadel (Fellegvár) and the Lower Castle The Visegrád double castle system is one of the castles built by Béla IV recognizing the consequences of the Mongol invasion. The fortress preserved its significance until the Turkish invasions. The Citadel had a multifunctional role: it was protecting the valley of the Danube, it was controlling the main commerical route between Buda and Esztergom, and also served as a custom’s house. The fortress consisted of two parts. The construction of the Lower Castle started under the reign of Béla IV around 1247. It was unique, as the fortress was not located next to the road differing from the common traditions, but the road was crossing the territory of the castle. The most interesting part of the Lower Castle is the so called Solomon Tower. The Tower was named after a false story, stating that Solomon was guarded in this Tower after loosing in the battle for the throne against King Saint Laszlo and Geza. This unique Hungarian building was constructed based on a southern-German design. Under the reign of Louis the Great King of Hungary, the famous bell-founder Konrád Gaal was operating in the fortress. Today the Tower is hosting a five-storey museum, introducing the history of Visegrád to its visitors. In 1246 Béla IV started the construction of the Citadel on an area with outstanding geographical characteristics, by the using the money from the family jewels of his wife, Mária Lascaris to build a refugee for the Dominican Order nuns living on the ’Rabbits Island’ (today’s Margaret Island). At that time the plan of the fortress was triangle-shaped, with two towers. The Old Tower was erected at a location most at risk, and the Gate Tower protected the southern entrance. The significance of the fortress considerably improved during the Anjou era. Once Charles Robert obtained the fortress from Máté Csák, he moved the royal court here in 1323. The Visegrád Citadel hosted the famous Royal Summit of Kings, and the first Anjou King died in the castle in 1370. The Saint Crown of Hungary was guarded here. When Louis the Great became the King of Poland in 1370, the Polish crown was also stored in the castle. The palace wings and a new external wall was erected during the Anjou reign. Sigismund of Luxemburg extended the fortification with a third set of walls and carried out several lavish constructions. Following the Turkish reign, after the liberation of Buda in 1686 the Habsburgs conquered the fortress after a 5-day siege. Due to the dissolution of the border castle system the fortification became unwanted and was left to ruin. The excavation and reconstruction activities started in 1871 and are still underway today. The town of Visegrád is located on the no.11 main road, 43 km north of Budapest. In the Visegrád area the earliest traces of a human presence lead us to the New Stone Age, and from the Bronze Age this area has been continuously populated. After the Celtics, the Romans settled here, and they built the castrum on the Sibrik Hill (north of the current town, close to the Danube) called the Pons Navatus at the beginning of the 4th century. Later the Slavic groups moved to the area, and they gave the name ’Visegrád’ to the castrum, which expression was later adopted by the Hungarians. The first Latin language document mentioned the Visegrád fortress and its county in 1009. Bela IV built the current fortress system in the 1250s. 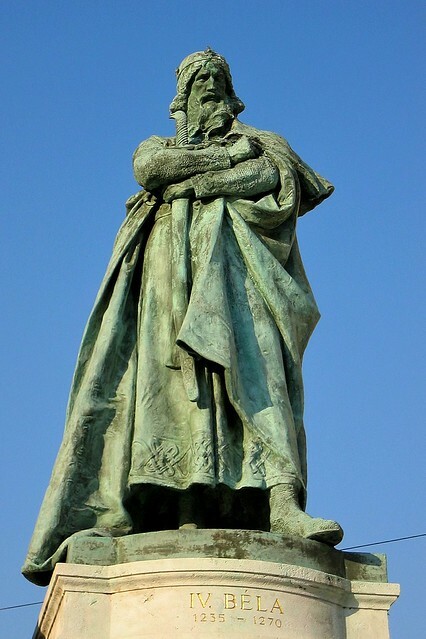 Charles Robert relocated his royal court from Temesvár to Visegrád in 1323. Visegrád became the centre of the country in 1323. The famous Royal Summit of Kings took place here in the autumn of 1335 (the location of the summit for the four Central-European kings). His descendant, Louis the Great temporary relocated his headquarters to Buda, but he continued the constructions. In 1370 he was welcoming the delegation of the Polish Orders, who offered him the Polish crown. The current plan of the palace was established in the reign of King Sigismund. The next days of glory for Visegrád came under the reign of King Matthias, who erected magnificent buildings in the fortress and renovated the palace of King Sigismund and was residing in Visegrád until 1408. During the Turkish times only destruction followed, the frequent fights completely destroyed the once flourishing town. After the expulsion of the Turkish (1686) the severely ruined fortress was doomed to destruction. The excavation of the fortress and the restoration of the remnant parts started in 1870, and with various stoppages through out the years, it is still underway nowdays. The Citadel is the widest-known element of the Visegrád fortress system (water fortress, lower fortress and upper fortress), as the building is erected on the top of the Castle Hill, which can be seen from the distance from every direction, and it is a popular destination for Visegrád excursions and hiking tours. The irregular-shaped fortress can be accessed through the pentagon-shaped external eastern gate tower, which is located behind the car park. Once we proceed, we enter the external castle courtyard, presenting a magnificent view, then we continue to the lower castle courtyard and through the strong southern gate tower we reach the inner castle courtyard. The inner castle’s lower courtyard served as the residency of the castle-guards. The stone-rimmed well was also located here, which supplied plenty of water for the castle-guards. The triangle-shaped upper courtyard was hosting the most important buildings, such as the gothic palace on the west (beautifully carved door and window frames are exhibited); on the north the knights’ hall erected by Matthias nearly completely devastated, and the northern palace; on the east the eastern palace, the treasury of the queens and the chapel. At the meeting point of the Eastern and Western side there was an old tower constructed (nowdays only the wall ends can be seen), where the royal jewels and the Holy Crown was guarded. In 1440 a real thriller took place here, when the mother of the tragic-fated King Laszlo V had the crown stolen for his son, which was later mortgaged together with the town of Sopron by his uncle, Frederic III German Emperor. King Matthias managed to regain the crown only in 1463, by paying an extraordinary 80 000 golden coins for it. After that the crown was guarded in Visegrád again until 1529, when Sultan Sulejman conquered the fortress and sent the crown to Buda, to King John Szapolyai, who was the acknowledged king of country by the Sultan. Visegrád cannot only be accessed through the no. 11 main road, but also through the Pilis Mountain, from the direction of Pilisszentlászló, where the winding road meanders through our beautiful forests. At the crossing, on the corner the 17th century Roman Catholic Church in late Baroque style is located, next to it the beautiful sculpture of Saint Margaret of the House of Arpad is situated in a well-maintained park. The next building is the Town Hall, which due to its recent reconstruction adapts very well to the street image. There are Information boards about the famous houses and former residents of the Main Street . The most famous building complex is the former royal palace, which buildings were erected in the reign of Charles Robert, Louis the Great, King Sigismund and King Matthias. From the splendid fountain of the Matthias Palace Gala Courtyard red and white wine was flowing out during the celebrations to the amazement and satisfaction of the guests. During the Turkish times the palace got ruined and at the beginning of the 17th century the colonized German population used the stones of the palace for their constructions. After that nobody mentioned the palace, as if it would have been buried underground. Well, nearly this is what happened. The heavy rainfalls washed down the soil of the steep mountainside and completely covered the remnants. Though the archaeologists were looking for these in the 19th century, but only found them on New Year’s Eve 1934 by János Schulek architect (the son of Frigyes Schulek who built the Fisherman’s Bastion and the Matthias Church). By the next year Schulek had the remnants of the chapel dug out. Ever since excavations have been taking place here. The surface of the built-in area was 600 m x 300 m (approx. one-third of this area has been excavated), and it was located on the hillside with 5 terraces. the original pieces of the red marble from the Hercules Well and its restored model, and the model of the Lion Well (the original one is located in the Solomon Tower). On the right side, if you take the Salamontorony Street you can reach the lower castle tower, which got its name ’the Solomon Tower’ after a false story about Solomon’s captivity, as Solomon was not kept in this tower, but on the Sibrik Hill. The 31 m high, five-storey tower with its 3,5-8 m thick walls was the country’s strongest construction. It served as the earliest part of the protection system to control the route crossing through its gates and continuing on the Danube embankment. The five-stories were used as bedrooms, kitchens and storage areas (sometimes as prison). The building is currently a museum, where the most valuable findings from the palace are exhibited among others (e.g. the previously mentioned Lion Well). If you walk back down the Salamontorony Street towards the embankment, and you continue your walk to the right, you can find a square-shaped tower remnant. This is the round bastion or water bastion. It was erected at the same time as the fortress system, representing its lowest part. This was an observation point for the Danube’s traffic and with the help of hoisting apparatus they were sending water to the lower castle. The top of the multi-storey building was ruined; János Schulek created the current form of the lower part in the 1930s. On the steps of the round bastion the fortress builder King Bela IV’s statue, and on the iron banisters the arms of Arpad-, Anjou-, Luxembourg- and Hunyadi-families are exhibited. The round bastion is connected with the lower castle and then to the upper castle through an outer wall built in the 13th century and it is still there today. The gate was cut in the wall around 1820, under which the road goes towards Budapest. Visegrád’s latest treasure is its thermal and mineral water, which are brought to the surface from 1400 m depth with the help of the wells of the Lepence Valley. This 39 °C thermal water supplies the swimming pool of Lepence, which was opened in 1977, where the Lepencei Brook reaches the Danube. Geothermal waters have been used on a large scale for bathing, drinking and medical purposes, while the consumption of bottled mineral waters is increasing. In this work, radon and radium activity concentrations of thermal and bottled mineral waters, originating from different regions of Hungary, were studied by different radioanalytical methods. It was found that the thermal springs, which supply the world famous baths of Budapest along the right riverside of the Danube, have high and activity concentration: up to about 100 and , respectively. The radium content of some investigated geothermal waters found in the NE region of the Great Hungarian Plain is even higher: up to several . The content of bottled mineral waters, commercially available in Hungary, was determined by gamma-spectrometric method, applying radiochemical separation. The highest value exceeded in the case of the Apenta mineral water, which is a popular brand in Hungary, as well as in Europe and North America. – Visegrád was always in the centre of attention during history due to its favourable amenities and essential strategical role. – The earliest traces of a human presence lead us to the New Stone Age, and from the Bronze Age the town and its surroundings have been populated continuously. During the historical times Celtics, Germans, Romans, Avars and Hungarians were populating the Danube Bend area. – The Romans under the reign of Constantine I (Constantine the Great) built the Ponts Novatus fortress on the Sibrik Hill, which was the most significant construction of the `limes` system by the Danube. Besides that we can find Roman relics at several places in the town, so for example the watchtower remnants in Szentgyörgypuszta, or the fortress remnants at the Gisela Manor built around 330. – When the Hungarians were settling in this area it was the ancient demesne of Kurszán, the brother of Arpad Prince. The first, Latin document mentioned Visegrád for the first time in history in 1009. – The word Visegrád means high fortress. – The first fortress of Visegrád was built on the castrum, by using its stones, but this fortress was demolished during the Mongol invasion. – The current fortress complex was built by Bela IV and his wife Queen Maria in the 1250s. 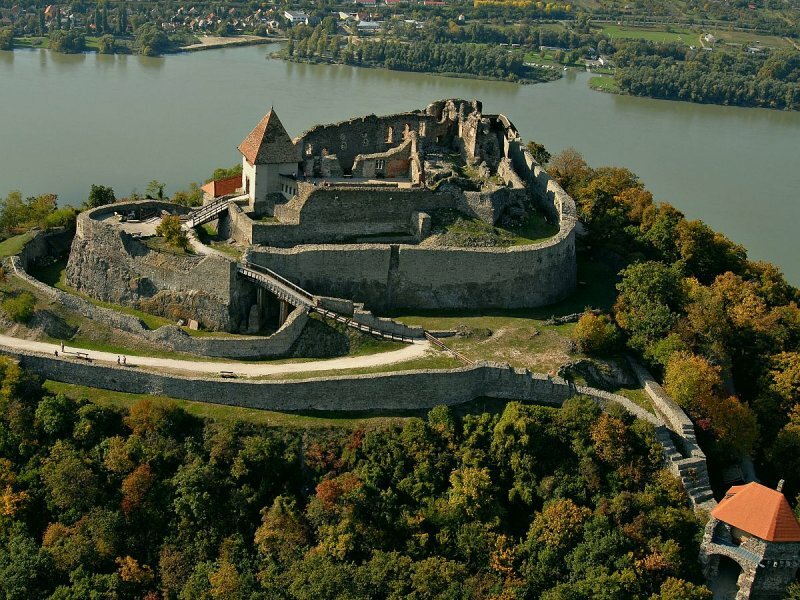 The fortress consists of the Citadel on the top of a 328 m hill, the Lower Castle situated on the hill underneath the Fortress hill, and the Water Bastion located on the Danube embankment. – The town became internationally important in the 15th century during the reign of the Anjou Dynasty. Charles Robert started the construction of the Royal Palace on the main street of the town close to the Danube Bank around 1320. Within couple of years this centre became the royal headquarters and the favourite residing place of the King. – The famous ballad of Klára Zách describes the unsuccessful assassination attempt against the royal family organized by Felicián Zách, and afterwards the bloody revenge. – The famous Royal Summit took place here in 1335, when Charles Robert King of Hungary invited John of Luxembourg, King of Bohemia; Casimir III, King of Poland; Charles, the Moravian Marquis; Heinrich Wittelsbach, the Bavarian Prince and Rudolph, the Saxon Prince. They created such a significant agreement, which secured the economical independence of the affected countries from Vienna and from the Western merchants. – The Royal Palace historical walls hosted the signing of the cooperation in 1991, called the Visegrád Four. -After the death of Charles Robert, the Polish delegation visited his son, Louis the Great in Visegrád, and offered him the Polish crown. – After the coronation ceremony the Polish crown was put together with the Hungarian Holy crown which was guarded in the treasury of the Visegrád Citadel by the crown-guards. – Matthias’s renaissance court was often visited by the prominent figures of the era, who were philosophising in science, philosophy and literature and they were supporting the arts and they were leading the innovations. – Visitors arriving from faraway countries described Visegrád as the “paradise on Earth”. – This prosperous period lasted until the Turkish times, when similarly to other parts of the country immense regression and destruction started. 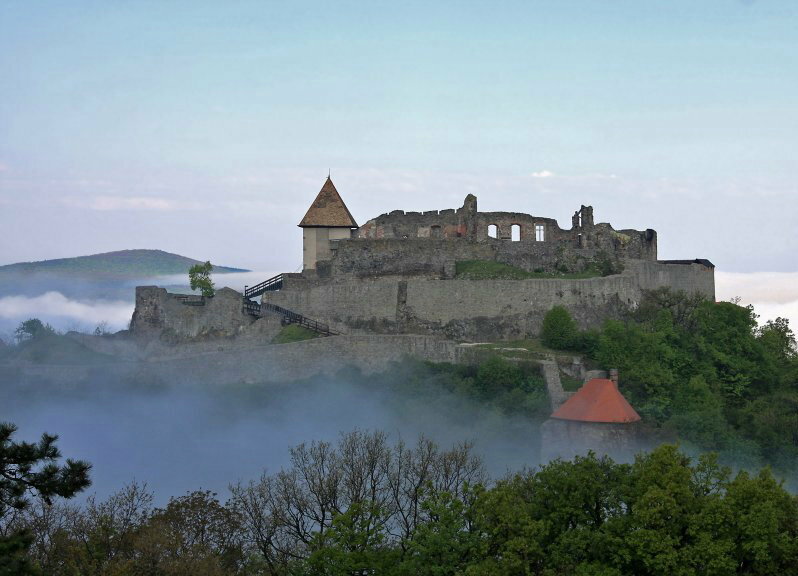 During the fights for the fortress and for the town Visegrád nearly got completely devastated. The survivors went into hiding and left the uninhabitable town. The remnants of the fortress were exploded under the command of Leopold I, Austrian Emperor in 1702. – The development of the settlement started once more in the 19th century, when the Danube steam boating begun and the Danube Bend and Pilis-Visegrád Mountains became favourite excursion targets of the hikers arriving from the capital. – Around this time took off the excavation activities by the incentives of József Viktorin Parish Priest who had Slovakian origin. The excavation of ruins and restoration of historic monuments were conducted by the most famous archaeologists of the era, e.g. János Schulek. Deep in central France among lush green fields and acres of vineyards stretching as far as the eye can see, is the ancient French town of Saumur. The origin of its name stems from the Latin, sal murus, meaning the small fort in the swamps. The pre-history of the area goes back into the mists of time when clans of people built huge structures out of mammoth stones as temples to worship their gods, bury their dead, and to follow the paths of the stars across the heavens. Time passed, and in the 10th century, the Count of Blois built a monastery and fortification amongst these stones and a large village began to grow around them. 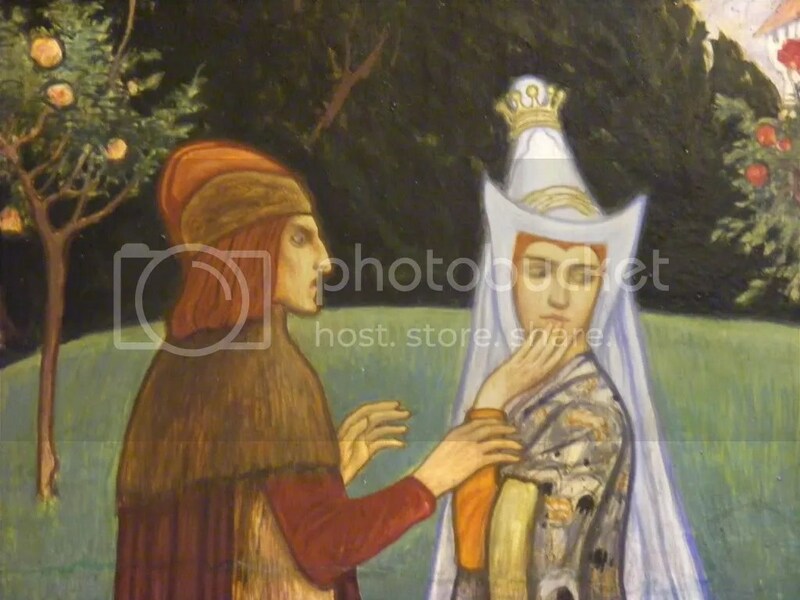 In the 12th century, a fundamental alliance between France and England began when the powerful French Eleanor of Aquitaine and the powerful English Henry Plantangenet were married. Henry was the adopted son of King Stephen of England, known in France as Etienne de Blois. Not too long after the marriage, Henry became King Henry II of England and Eleanor his queen. Turmoil, was the usual turn of events in that time, and their rule was not exempt, being fraught with battles, border disputes, and court intrigues. The course of history for Saumur continues with a colorful and troubled history through the years. However, after surviving heavy bombing during WW II, the picturesque town of Saumur began to find peace beside the gently flowing waters of its river, the royal Loire. In the Loire Valley, every town of a certain size has a storybook chateau in its back yard, and Saumur is no exception. 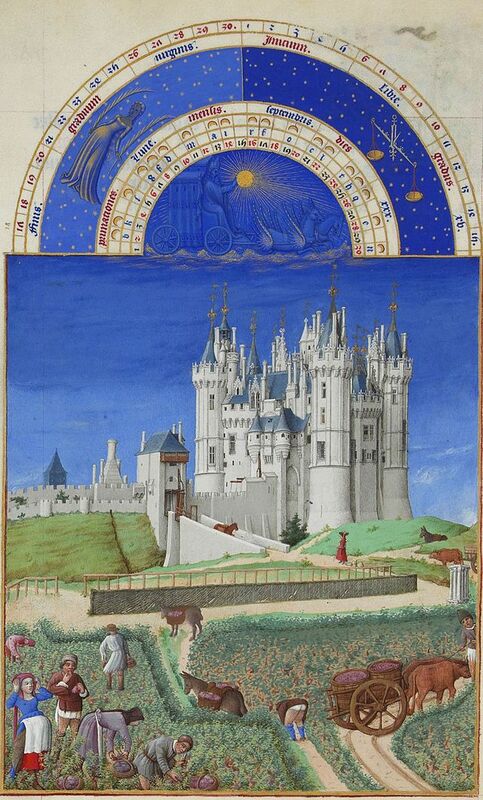 In 1246, Louis of Anjou altered the Chateau from a fortress into a livable palace for pleasure, parties, and hunting. The graceful, Chateau with its shining white walls and turrets of local tufa stone projects a watchful stability over the town from its perch on the highest hill in the area. Inside the chateau are two interesting museums. One is the Musee des Arts Decoratifs specializing in porcelain from the 19th century, and Flemish tapestries. The other museum is the Musee de Cheval recounting the history of the horse from antiquity to the present. If you happen to be strolling by an open field and see a chimney incongruously sticking up out of the ground, you should guess that you are walking on top of a Troglodyte dwelling. Saumur has a very large number of cave dwellers, as does the entire Loire Valley region. When there were not caves, man dug into the sides of mountains for shelter. The natural Tufa stone of the area is fairly easy to cut and makes digging into the sides of hillsides not too difficult. Mankind has been living in caves or under ground since the beginning of time and there seems to be some positive reasons for doing so. The Tufa rock of the Loire remains relatively dry, the average temperature in a cave remains a fairly steady 12 degrees centigrade, or about 54 degrees Fahrenheit, winter and summer, caves are sheltered from windstorms, and at no risk from fire. Some of these cave houses are simple rude shelters, while others have front glass windows installed, verandas, and central heating. There are also complete Troglodyte villages. No way should one visit Saumur or France without experiencing a wine tasting. In the heart of the world’s oldest vineyards, are the Bouvet Ladubay vintners, and they consider wine to be a living art. They say the wine gets its character from several very important elements. The diversity of microclimates, picking the grapes under the strict supervision of oenologists appointed by Bouvet Ladubay, hiring workers they call the true “gardners of chenin”, and from the Tufa stones in the eight kilometers of underground caves where the wine is stored, are all necessary ingredients. Bouvet Ladubay has artfully crafted various posts and pillars in the wine cellar with the aged look of crumbling Doric columns, pieces of statuary, and weathered lintels. While discovering the wine, there is the notion that one is discovering an ancient Roman ruin as well. This is probably a small tribute to some of the first grapevines brought from Rome to the Valley. Some say that Buovet Ladubay discovered the secret for their award winning wine that had only previously been known to the old monks of the Abbey of St. Florent. There is a movie shown about the wine, a tour of the eight kilometers of cellar, and a tasting everyday. Visitors are welcomed and will not be disappointed. Side by side in Indre-et-Loire are the Chateau and Dungeon of Loches. These two magnificent Medieval French buildings are situated on a rocky spur overlooking the valley below. This royal dwelling place that was enjoyed by several of the kings of France is built over a castle that existed in the 5th century. It was in the Great Hall in June 1429, after her victory at Orleans, that Joan of Arc came for an audience with the Dauphin Charles to persuade him to march to Riems to be crowned. Charles VII established his royal court at Loches. His court became notorious for the wild parties and decadent feasts that were staged primarily to impress the great and especially the strikingly beautiful king’s mistress, Agnes Sorel. It seems that Agnes loved to be scandalous, and dreamed up the shocking idea of wearing silk underwear. She would wear revealing bodices with laces that the Catholic Church called the “gates of hell”, and on occasion she would saunter around court bare breasted. Her tomb is in the Great Hall. The Dungeon was built around a 5th century monastery and was a major stronghold throughout many conflicts. It served as a military fortress up until the 15th century, when it was converted into a prison by Louis XI. The gruesome torture chamber was a busy place for those not willing to confess political secrets. On the other hand, Many famous and influential personages were sent to Loches and were fairly well treated. During the Italian wars, the Duke of Milan, Ludovico Sforza was captured and imprisoned there from 1504-1508. He was a lover of the arts and a patron of Leonardo da Vinci. His cell that is open for visitors to see, is quite large, has a fireplace, a latrine room, and widows for light. His court jester kept him company, he was allowed to exercise in the courtyard, and women were brought to him on request. Not satisfied with these perks, he painted stars and other designs on the arched ceiling of his cell in order to brighten things up a bit. In Saumur it is possible to explore the area’s pre-history. A few minutes away in Bagneux you may step back in time and walk around inside the largest Megalithic structure in Europe, It is the Dolmen de Bagneux which is made up of 15 stone slabs weighing an estimated 500 tons. Some say that it is the most majestic of the megalithic monuments. It probably dates back 5,000 years to the late Neolithic or early Bronze Age periods of pre-history and is probably one of the most majestic French dolmens and the largest of the 4,500 dolmens spread out on about 60 French departments. The overall length of this dolmen is over 75 feet and its chamber is over 60 feet long. It is uncertain what the Dolmen may have been used for. Guesses are that it was used for ceremonial purposes, or that the clan may have used it for burying the dead.